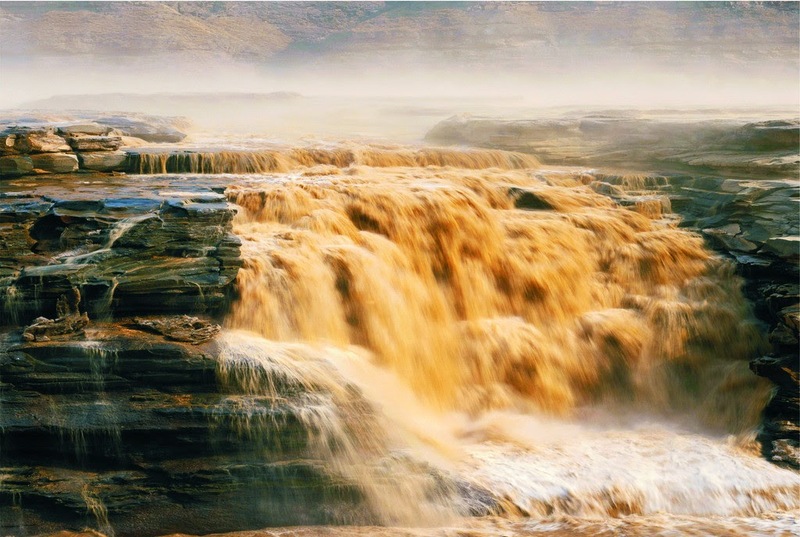 Hukou Waterfalls – The Only Yellow Waterfalls in the World! 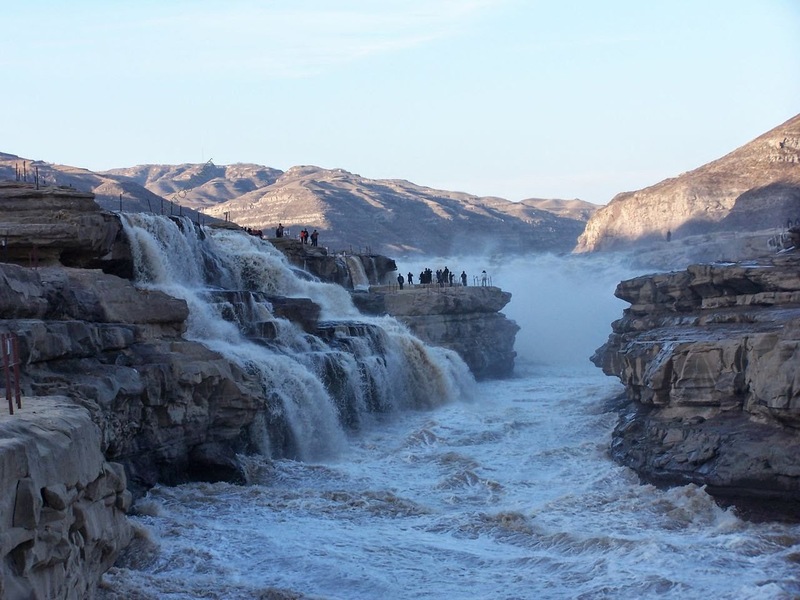 The mind of forlorn lay entangled at Hukou Waterfall, the gigantic water on the Yellow River, situated at the cross section of Shaanxi and Shanxi province. This is considered as the second biggest waterfall in Peoples Republic of China and the largest waterfall in Yellow River. The proximity to the water fall is 165 kilometer from Fenxi City and 50 kilometer from Yichuan city. The waterfalls have a variable width pattern, which will reach to 50 meters during flood season from 30 meters of the normal width. The water fall is formed naturally, due to the Yellow River blocked by two mountains. The height of the water fall is 20 meter. The Hukou Waterfalls is a world renowned tourist destination. The roaring, turbulent sound along with the mountain mist is a must see and experienced attraction. This is the only yellow waterfalls in the world that makes it more special about it. The roaring sound of the waterfall can be heard from quite far. The moment you come close to the location, the sound may resemble like a roaring wild beast. The magnanimity of Hukou waterfalls is incredible. There will be lot of seasonal changes you can see here. In spring the frozen water columns fall to the deep pond by making huge cracking noises. 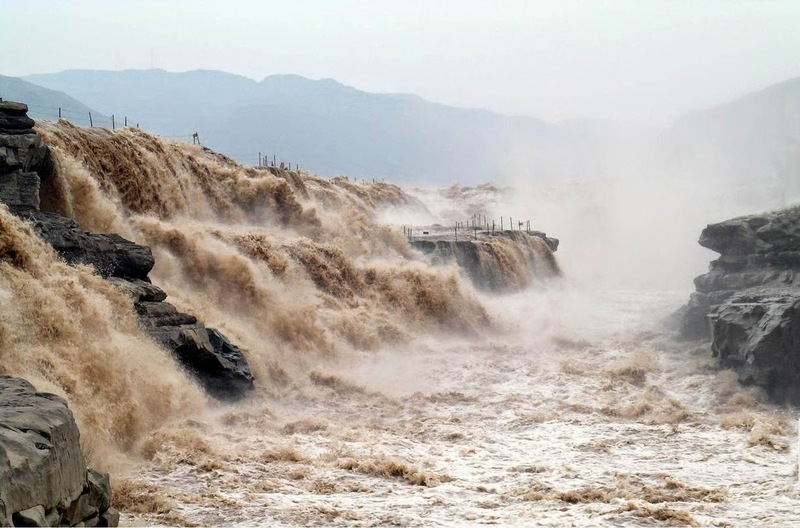 Rain during summer and autumn increase the water level of Yellow River and waves soar high to the sky. In winter the surface of the river will form like an ice plate and beneath the river the water will be flowing uninterrupted. 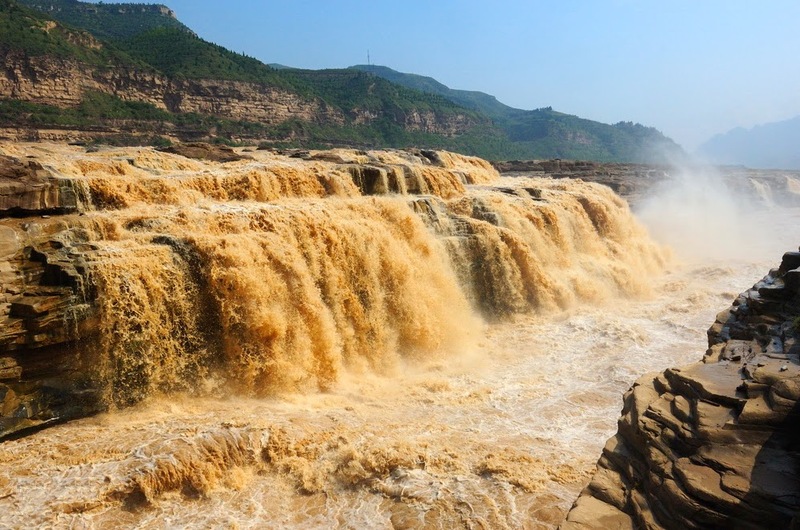 The meaning of Hukou Waterfalls is Kettle Spout Falls. The name reflects the characteristics of the waterfall as if it is being poured in to a big teapot. A shining mysterious stone namely Guishi can be seen below the bottom of the waterfalls. The stone is considered mysterious as the stone is seen moving up and down irrespective of the water level. Also there is a huge rock in the middle of the river which is 3,000 meter far from the waterfalls. With all the force, the river divides in to two and unites after the rock with roaring sound. This is a thrilling and scary view. Today Hukou Waterfalls is considered as one of the forty best beautiful natural tourist location in China. Until the transport facilities were improved reaching to the waterfall location was very risky and tiresome. With lot of infrastructural improvements the numbers of visitors are increasing every year. Transportation to the waterfall is easy from Yanan City. Tourists can easily reach to Yanan City and from there regular buses and tourist bus services are available to Hukou Waterfalls. Every thirty minutes bus services are operating to Hukou Waterfalls and the journey will take about 4 hours. The entrance fee is CNY 91 per head during peak season starting from March to November. Off season rate is CNY 72 per head during December to February. The best times to visit the waterfalls are summer and autumn. This is one of the thrilling tourist location, never allowed to miss!